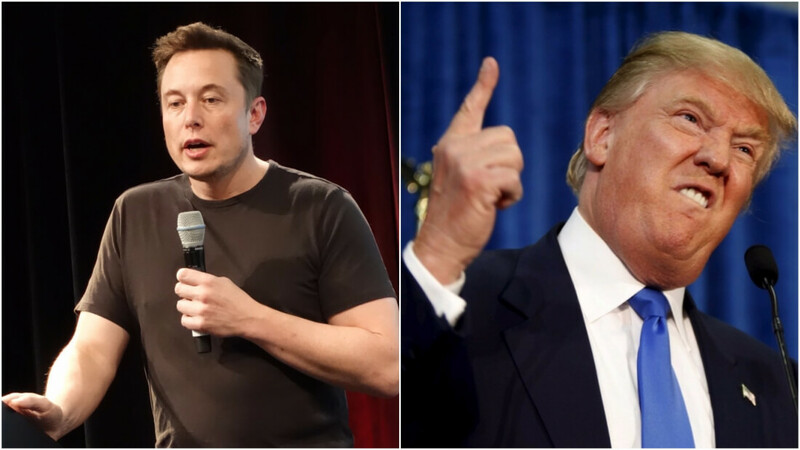 President Trump has a famously frosty relationship with tech leaders, but one CEO who believes it’s better to work with him than against him to bring about change is Elon Musk. The Tesla boss joined the Presidential Advisory Forum in December to help “accelerate the world’s transition to sustainable energy,” but if the US pulls out of the Paris Agreement – something Trump is reportedly planning to do – Musk says he’ll have no choice but to leave the councils. Musk currently sits on Trump’s economic advisory board and the Manufacturing Jobs Initiative. He faced criticism early this year for his decision to remain on the councils following the immigration ban. Uber CEO Travis Kalanick stood down from the forum to distance himself from the President, but Musk believed the best way to provide feedback on such issues was to stay. ...the agreement aims for 195 countries to reduce their greenhouse gas emissions and stop the planet from warming more than 1.5 degrees Celsius above preindustrial levels. That may soon change, however, if a recent Axios report claiming Trump has already decided to pull out of the Paris climate accord proves to be true. The agreement aims for 195 countries to reduce their greenhouse gas emissions and stop the planet from warming more than 1.5 degrees Celsius above preindustrial levels. Musk’s time on the councils will come to an end if Trump pulls the US out of the accord. "Don't know which way Paris will go, but I've done all I can to advise directly to POTUS, through others in WH & via councils, that we remain," Musk Tweeted yesterday. When asked what he would do if Trump leaves, Musk said he would have no choice but to depart. Musk isn’t the only CEO who wants Trump to stick with the deal. Tim Cook and other company heads have been pushing for the US to remain, while a full-page ad from 25 firms including Microsoft and Intel is set to run in the New York Times and Wall Street Journal today, promoting the benefits of the agreement.